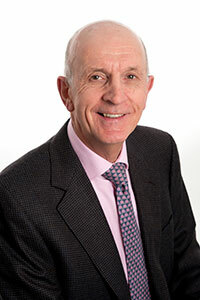 The Royal College of Paediatrics and Child Health has awarded Emeritus Professor Ieuan Hughes, Department of Paediatrics, the James Spence Medal. The award is made from time-to-time for outstanding contributions to the advancement or clarification of paediatric knowledge. It is the highest distinction the College can award and those working outside the UK and in other scientific disciplines are not necessarily excluded. The medal commemorates Sir James Spence (1892-1954) Professor of Child Health at the University of Newcastle upon Tyne and one of the principals who founded and developed the British Paediatric Association. First awarded in 1960, previous medallists include Professor Hughes’s predecessor John Davis, Alan Lucas at the former Dunn Nutrition Unit and Douglas Gairdner who Professor Hughes says, “was the first paediatrician in Cambridge and effectively worked single-handedly. It is rewarding to see Cambridge Paediatrics achievements over the years being recognised with this Award”. The Award Ceremony takes place in April during the Annual Meeting of the College.